Newport, NH-Lecia M Richardson 58 of Newport, NH passed away on Septermber 5, 2018 In Hartland VT after a long battle with cancer. She was born on July 7, 1960 in Newport, NH to the late Edward and Geraldine (Demars) Richardson. She grew up and attended schools in Newport, was a life long resident and lived for the past several years with her good friend, Nancy Donovan. 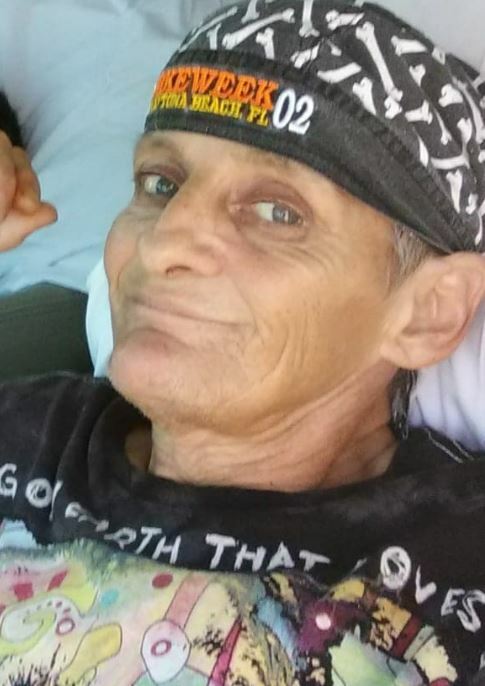 Lecia enjoyed the outdoors and spending time doing yard work, working on things, fishing, metal detecting and hanging with her best friend, Bill. She loved all her family and friends and had a very special place in her heart for her nieces and nephews. She was a huge animal lover and would sit and whistle at the birds and wait for them to whistle back. She always shared her Coronis grinder with what ever pet she was near. She went out of her way to make sure that her family was always taken care of especially her brothers during their illness as well as her mother before they passed. She would sit, visit, talk and show unconditional love with all the residents at Woodlawn Nursing Home while visiting her mother on a daily basis. She was predeceased by her parents Edward and Geraldine (Demars) Richardson of Newport, her brothers Michael Richardson of Newport, Gary Richardson of Newport, David Richardson of Newport and Jay Richardson of California. Surviving family members include her siblings, Bruce Richardson and his wife, Lynda of Newport, Kim Richardson and his wife, Audrey of Newport, Amy Varney of Hartland ,VT, her sisters-in-law, Elaine Richardson of Newport, Barbie Richardson of California; an aunt, Flora Kangas of Newport and many nieces, nephews and extended family members. She will always be remembered for her caring ways and her love for all. A private family celebration of her life is being planned. Memorial contributions may be made to the American Cancer Society, P.O.Box 22478, Oklahoma City, OK 73123.